She was whisked away to Narnia - and Kirrin Island - and Wonderland. She ventured down rabbit holes and womble burrows into midnight gardens and chocolate factories. She wandered the countryside with Milly-Molly-Mandy, and played by the tracks with the Railway Children. With Charlotte's Web she discovered death and with Judy Blume it was boys. No wonder she only left the house for her weekly trip to the library or to spend her pocket money on amassing her own at home. 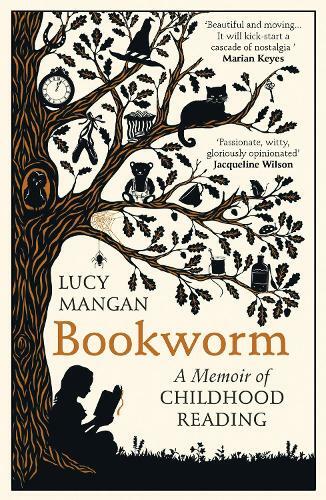 In Bookworm, Lucy revisits her childhood reading with wit, love and gratitude. She relives our best-beloved books, their extraordinary creators, and looks at the thousand subtle ways they shape our lives. She also disinters a few forgotten treasures to inspire the next generation of bookworms and set them on their way. I remember that feeling of cracking into a new book with utter pleasure and drifting away for hours into the world of imagination that the author had gifted you.